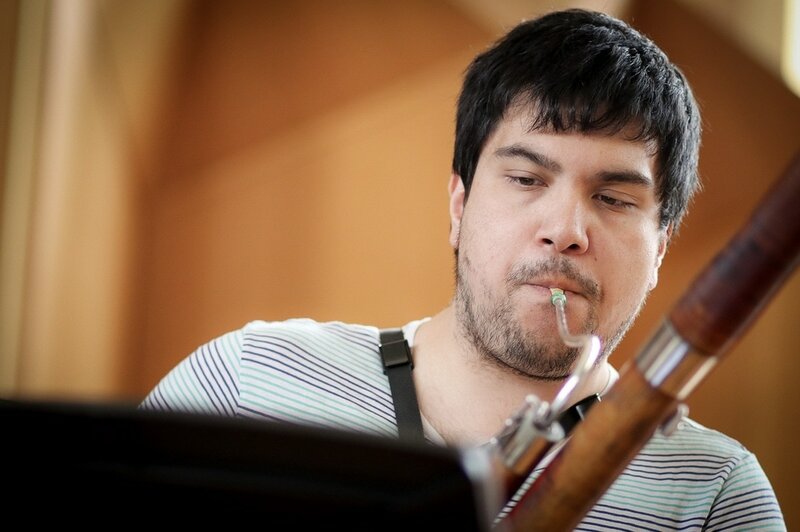 The bassoonist spoke to Limelight about his world tour project following his Fellowship win. Australian bassonist Matthew Kneale has been announced as the winner of the 2017 Freedman Classical Fellowship. The $20,000 cash prize will allow him to undertake his proposed career-enhancing project: “an international concert tour that will shatter preconceived notions by presenting the bassoon as a brilliant solo and chamber entity in its own right.” Kneale’s proposed tour will include works by Australian composers Holly Harrison and Katy Abbott. Kneale was one of three finalists who performed in a concert on Saturday night at the ABC’s Eugene Goossens Hall (the other finalists were flautist Tamara Kohler and pianist Alex Raineri) which also featured a performance by percussionist – and 2005 Freedman Classical Fellow – Claire Edwardes. The concert was hosted by another former winner, pianist Tamara-Anna Cislowska, and broadcast live on ABC Classic FM. The judges for the finals were Dr Stephen Mould, Senior Lecturer in Conducting and Opera Studies at the Sydney Conservatorium of Music, Elaine Chia, CEO of Sydney’s City Recital Hall and Kirsten Williams, Associate Concertmaster of the Sydney Symphony Orchestra. The bassoonist, who trained at the Victorian College of the Arts, the Queensland Conservatorium of Music and the Australian National Academy of Music, performs casually with Orchestra Victoria and the Melbourne Symphony Orchestra, as well as with chamber ensemble Arcadia Winds. Previous winners of the Freedman Classical Fellowship, which is managed by The Music Trust, include oud player Joseph Tawadros, guitarists Karin Schaupp and Geoffrey Morris, recorder player Genevieve Lacey, didjeridu player William Barton, pianist Peter de Jager, percussionist Eugene Ughetti, violinist Kristian Winther, flautist Lina Andonovska and clarinettists Aviva Endean and Ashley Williams Smith. Last year’s winner was violist Stefanie Farrands. A bassoonist, practising outside a church having arrived early for rehearsal, was approached by police after a concerned citizen called 911. Richard Chandler of the Christchurch Symphony Orchestra has passed away after being struck by an oncoming train. We talk to Melbourne Symphony Orchestra’s Bassoonist to find out where did it all begin?